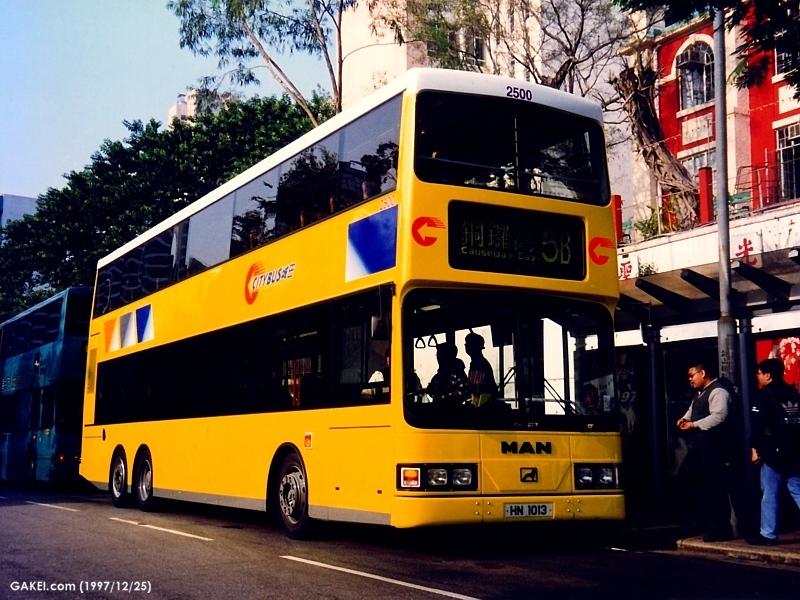 Citybus ordered one 12-metre air-conditioned double-decker from MAN in 1997. 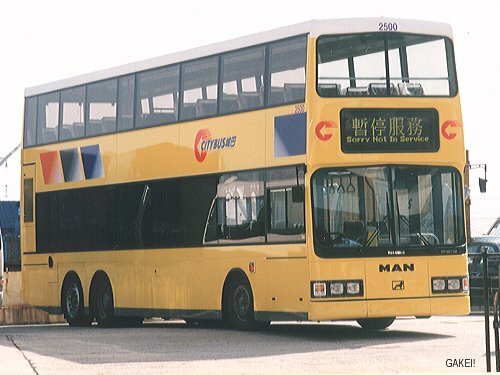 In December of the year, the bus started service with 2500 as fleet number and a registration mark of HN 1013. The model of the bus is 24.350 NL-DD, and is fitted with an Australian Volgren CR221LD body. It is the first time that Volgren designed and built a double-deck body. The frontal design is similar to the Alexander 'R' one, as requested by Citybus. The bus is powered by an 11,967cc, 350hp MAN D2866LOH engine with ZF 5HP600 transmission. The air-conditioning was supplied by Nippondenso. 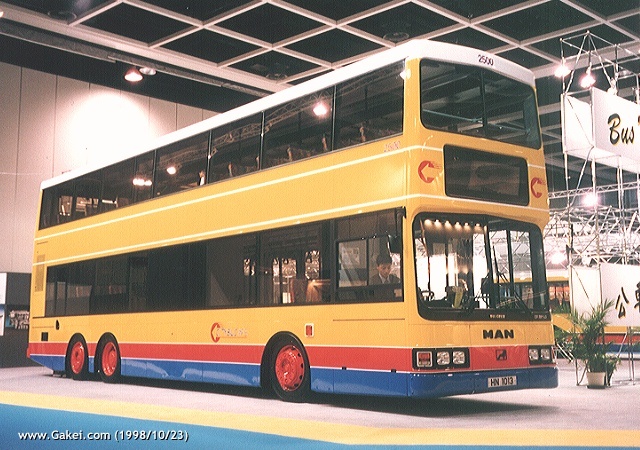 Citybus ordered 33 more MAN double-deckers subsequently, the model became 24.310 HOCLNR. Thirty-one of them were fitted with Holland Berkhof body, and the rest of two, with revised Volgren body. However, due to the government's policy, Citybus' fleet had reached its authorized maximum and Citybus finally withdrew the order. 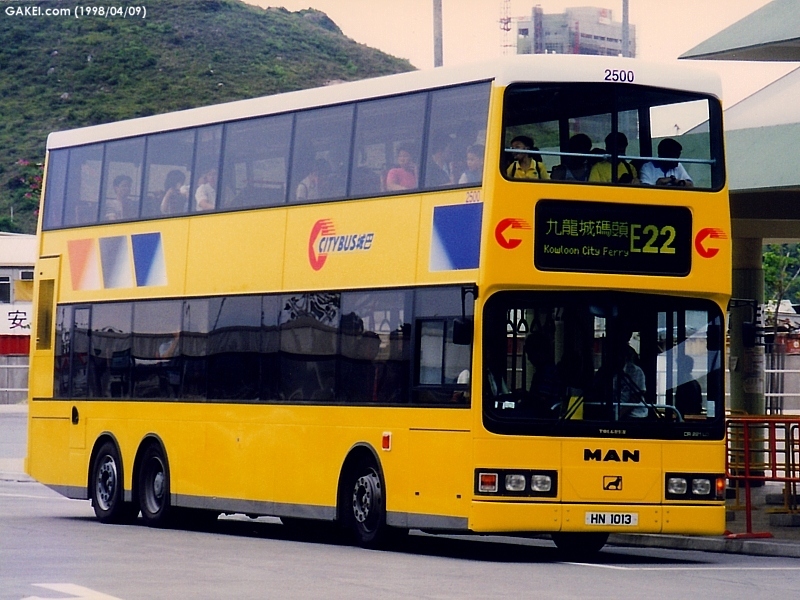 Among the 31 Berkhof buses, 1 was purchased by Kwoon Chung Motors, and the remain 30 went to Kowloon Motor Bus.